The dream of having a large museum of contemporary African art in Cape Town has finally been realized. 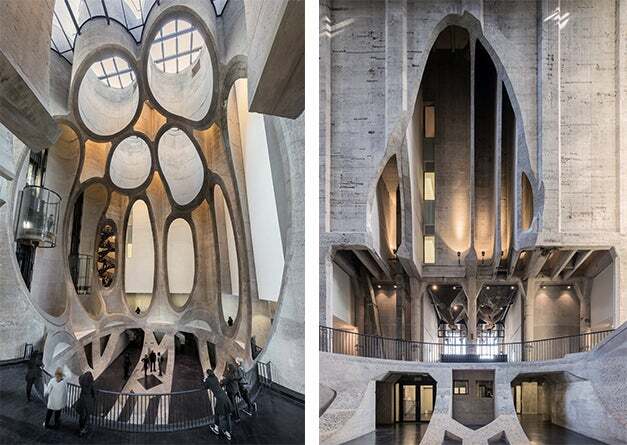 This dream, nurtured by former Puma CEO, art collector and now museum creator and patron Jochen Zeitz, in collaboration with the Victoria & Alfred Waterfront, has resulted in the Zeitz MOCAA – the Museum of Contemporary Art Africa. The dream is now also reality for contemporary African and Diaspora artists. The largest such venture on the continent, the museum is in a set of converted grain silos, overlooking the Atlantic and boasting a colourful past that goes back to part-funding by capital from slave compensation after abolition (where the owners were compensated). The almost $37 million museum has met all expectations so far: to be spectacular, to employ Africans, to give African artists a voice and space in which to be visible and to be a sizeable draw on the city’s social and tourism calendar. The museum is a breath-taking example of converted industrial architecture, designed by British architect Thomas Heatherwick. The museum’s executive director is Mark Coetzee, a white South African. It says a lot that it’s three white men at the top of the food chain when it comes to the largest such undertaking on African soil. 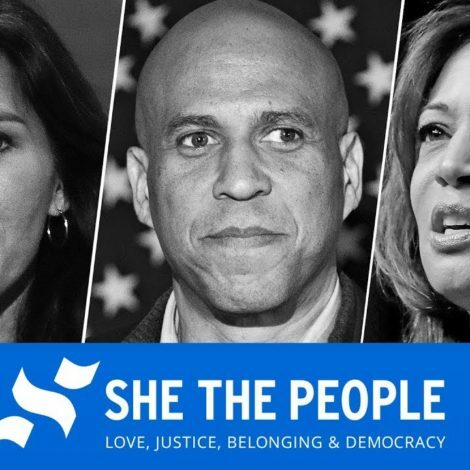 And yet, it is also an example of what someone with vision, money and willing, able collaborators can achieve. Zeitz divides his time between Germany, Kenya (where he has a home) and now South Africa at the museum that bears his name. The actual building itself instantly peaks curiosity at the higest of levels upon entry. You can smell the history and the air is pregnant with expectation—and perhaps a dose of sea salt. The carved tubes in the atrium space are lit up via sunlight splashing down from the sculpture garden above on the sixth floor, through thick layers of laminated glass, fritted with a pattern of linguistic symbols commissioned from the Togolese artist El Loko. If part of the humanistic message can filter through into the heart of the space, it will be a place to always draw on some of the continent’s magic and creative legacies. 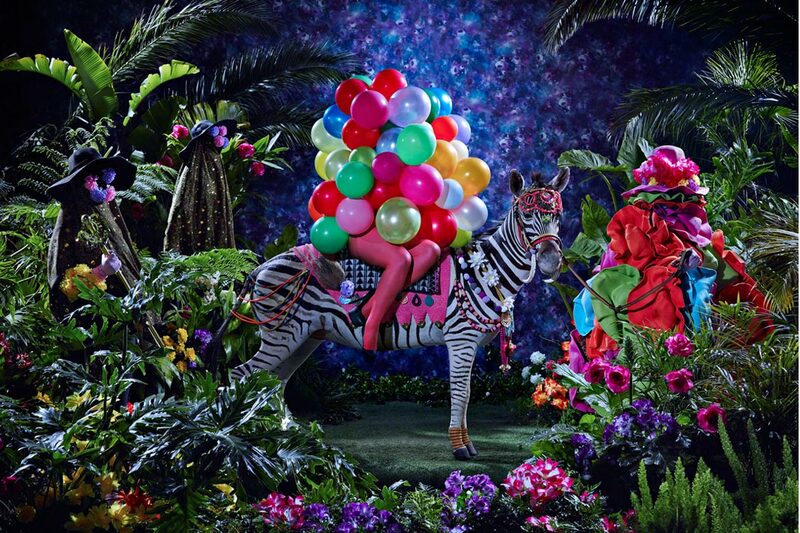 This magic greets you in the form of ‘iimpundulu zonke ziyandilandela,’Nicholas Hlobo’s giant mythical beast made from rubber inner tubing, multicoloured ribbons, an animal skull, and pink theatre lights as soon as you enter the vast space. It feels as though both dragons or Lightning Birds, in the Xhosa mythology, and alien beings such as those encountered in Star Trek, would feel at home here. Closer to reality, you expect to see some of the best and brightest of Africa and its Diaspora’s art stars, and the museum does not disappoint. Everyone, including Nandipha Mntambo, Zanele Muholi, Kudzanai Chiurai, Kehinde Wiley, Wangechi Mutu and Yinka Shonibare, Penny Siopis, Samson Kambalu, Edson Chagas and Athi-Patra Ruga have a presence here. Needless to say, the pop culture elements of the collection are striking. The artists are mostly young, and the art itself is all 21st-century. Coetzee, the museum’s executive director and chief curator, has said that the museum’s vision is to provide a “platform for Africans to tell their own story and participate in the telling of that story” and so far, it seems to have done just that. The artists on display were an interesting juxtaposition of youthful African energies against a lot of the older establishment Euro-descended (and condescending) of Cape Town (and elsewhere), who had come to see it. 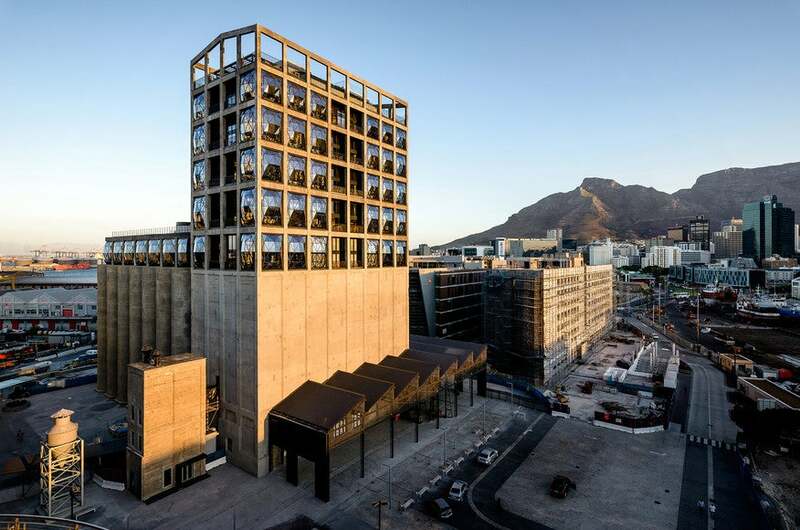 Zeitz MOCAA is yet another compelling place in Cape Town’s crown of glittering places to visit, and an absolute must for those interested in Africa’s burgeoning art scenes.